Buying online is always a risk. Anyone anywhere can list something for sale, and there’s often no recourse should a problem arise. Even big marketplaces like Amazon—with tens of thousands of sellers—aren’t immune to counterfeits and scams. Photographers spend billions every year so they’re an obvious target; let’s look at how to safely buy camera gear online—or at least, buy it as safely as possible. How Common Is Counterfeit Camera Gear? Counterfeit camera gear is, if not common, definitely out there. What way it’s counterfeit depends on what exactly it is. Camera accessories are the most likely thing to be counterfeited. It’s estimated that up to a third of SanDisk memory cards sold are fake. That’s a hell of a lot of counterfeit cards. The reason they’re so common is that SanDisk is a soft target: their cards are super popular (we recommend them here on How-To Geek), and people can fake them by simply by slapping a sticker on a cheap generic card. The fakes have even been sold on Amazon. RELATED: What SD Card Do I Need for My Camera? Similarly, Canon has had trouble with counterfeiters manufacturing knockoffs of their flash units, and there have been fake Nikon battery grips. These kind of accessories are a gold mine for fakers because the products work and most people won’t be able to tell the difference. If photos write to the memory card in your camera, why would you question its authenticity? It’s only when the cheap chip inside fails that you might realize you’ve been had. For larger items like cameras and lenses, the problems are a little more subtle. Cameras are expensive and technically difficult to manufacture, so they’re much harder to clone. Instead, scammers will buy a cheaper camera and change the badges, so it looks like the more expensive model. 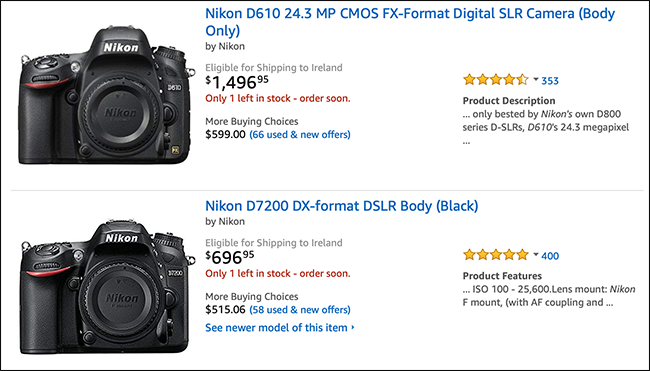 For example, the Nikon D7100 is similar enough to the significantly more expensive D610 that scammers can cheaply change a body panel and flog the 7100 on for a tidy profit. You also have to be careful with gray market imports. In the best cases, the seller buys the camera cheaper overseas, somewhat dubiously imports it, and then sells it for a profit at a price that’s still lower than the RRP. You won’t get a warranty, and the camera manufacturer may look at you askance if they need to fix it at any stage, but you will get a brand new camera at a knockdown rate. In other cases, you’ll end up with a camera that’s been stolen. The sellers will normally change or cover up the serial number on the body so you can’t easily check and, until something goes wrong, you won’t notice. A price that’s too good to be true. Cameras are expensive, and if the seller is above board, there’s only so low they can go. If the camera or gear is offered with no box, no manual, or no warranty, then something is probably up. It might be a genuine gray market import, or there could be something more. If there are lots of bad reviews on the product, bad reviews on the seller’s other products, or good reviews that look fake, that’s cause for concern. If you’re buying from Amazon and the product is listed as “Fulfilled by Amazon,” this means a third-party seller is using Amazon’s marketplace, and they are doing the packaging and posting, but they aren’t the ones selling it to you. Fulfilled by Amazon products are notorious for being rife with fakes and counterfeits. If the listing is written in bad English, there are some simple misspellings, or the photos don’t look like they came from a multi-million dollar marketing department, it’s another sign that something might be up. 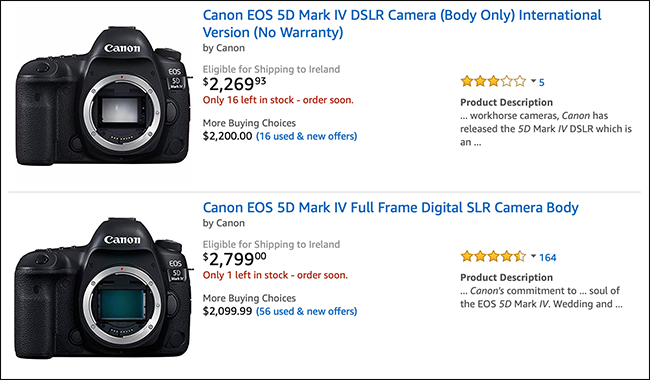 While it’s tempting to buy all your camera gear from Amazon, it’s something we can’t recommend, at least until they sort out their counterfeit and fake listings problems. In fairness to them, in any of the articles I linked to above where someone bought something fake from Amazon, the company did refund them or otherwise make things right, but it’s just not a hassle you want to deal with. The best thing to do is buy from a local camera shop. Many of them have online stores, and they’ll happily ship to you. The prices probably won’t be as low as Amazon’s, but you get the peace of mind knowing that you’re not being ripped off. Especially for big-ticket items, the staff in the camera shop may have some latitude to offer discounts, give you free stuff, and otherwise make up the gap between their list price and Amazon’s. The major camera manufacturers also have frequent cash back offers that they’ll be able to advise you on. 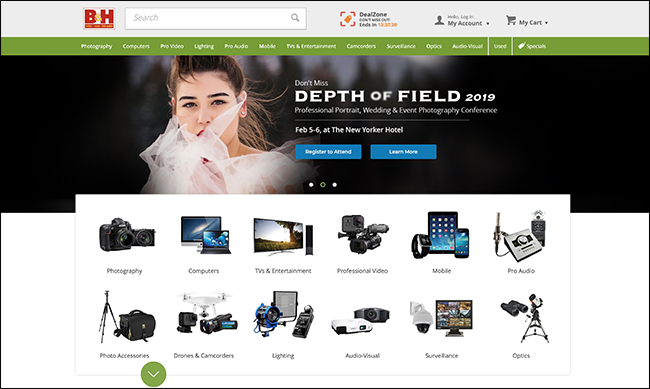 If you want to buy from an online store with a huge selection of even the most niche accessories, then we recommend B&H Photo. They’re one of the largest online photography stores for good reason: they sell everything, ship everywhere, and have good prices. You’ll get a much more consistent experience than buying your camera stuff from Amazon. 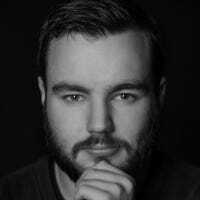 Even if you’re certain you bought from a reputable seller—and especially if you aren’t—it’s worth giving any camera gear you buy online a quick once over when it arrives. Google “how to spot a fake [whatever you bought]” and check that yours is genuine. For example, real SanDisk cards have a gray switch and a serial number on the back; some of the fake cards have a yellow switch and no serial number. You should also check that any holograms are real and where they should be, that labels are secure, aligned, and properly printed, and that everything that should be in the box—like the manual and warranty card—is. For cameras, it’s also worth checking the shutter count. It should be zero (or almost zero) for a brand new camera; if it’s higher, then something is up. If you’re ever in doubt, contact the seller and the manufacturer. The photography market is worth so much money that it’s an easy target for scammers. They only have to take the smallest fraction of the smallest fraction of 1% of the business to turn a serious profit. This means that you, the consumer, have to be extra vigilant.